When you search the web for the best forex traders, you will be bombarded with a seemingly endless amount of information which may overwhelm you. The information will use jargon that you may be unfamiliar with right now and, you may end up abandoning the search altogether. If the above text describes you, worry not, we will simplify it for you. 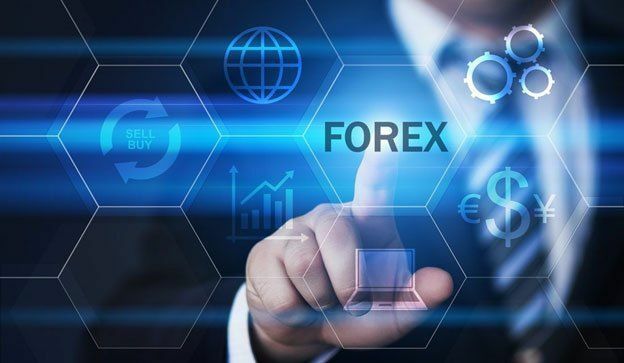 We will break down the minimum deposit fee required, if any, the upside and downside of each forex trader, any hidden costs that you may not be aware of and, how trustworthy they are due to the number of years they have been operational. This is an Australian forex trader that has been in the market since 2010. Account opening is a straight-forward process and they offer no minimum deposit to open the account. The web and desktop trading platform are very user-friendly. In addition, customer support is quick, responsive and ensures you get relevant information all the time. However, the mobile platform is a bit complex and, you may struggle when you want to trade but you have no access to a computer. Founded in 1995 and headquartered in the USA, this forex trader offers no minimum account deposit. Opening an account is fast and easy. The most attractive feature for beginners is that they offer a demo account with no expiration date. This ensures that you can practice until you become good enough to go live. The major downside is the charging of an inactivity fee and the slow customer support. This is a Cyprus-based forex trader that was founded in 2008. They have a demo account that you can keep for life and their platforms are user-friendly on all devices. They also offer 24-hour live chat and email support in several languages. An inactivity fee of $10 is charged when you have not traded for a predefined period of time. This is a US-based forex trader that has been in the market since 1999. To encourage beginners to sign up, they have live training, Q&A sessions and, video tutorials that ensure the core concepts are completely digested. A minimum deposit fee of $250 is required in order to open an account. This forex trader was founded in Copenhagen, the Danish capital, in 1992. Like many of the aforementioned forex traders, opening an account is an easy process. Their most enticing offer is free withdrawals for their clients and broad access to international markets. Nevertheless, you need to deposit a minimum of $2,000 to open an account. This is a London-based forex trading that was founded in 1999. It was one of the pioneers of Internet-based trading. They offer virtual demo accounts with $5,000 for practicing. In order to open an account, you will need a deposit of $300. CMC has been operational since 1989. It is a UK-based forex trader. It does not have a minimum deposit fee. Another great feature is that you can view what other CMC clients are trading and, also view what the top clients are trading. This can be very helpful when you are undecided. The downside is that there have been questions about the security of their app. Interactive Brokers is a US-headquartered forex trader that was founded in 1978. This trader invested heavily in coming up with a broad range of service that people can take advantage of. The two biggest types of account are individual and group. This is arguably their best feature. The minimum deposit was $10,000 but it was recently lowered to $0 for an individual type account.